Injuries to baseball pitchers. You’re probably thinking of an assortment of shoulder and elbow pathologies. The most common ones include labral injuries of the shoulder or ulnar collateral ligament tears of the elbow requiring a Tommy John procedure. One growing injury trend impacting pitchers at all levels, particularly in collegiate and professional baseball, is blisters. You heard that right. Blisters are causing well over several months per season of cumulative days missed at the Major League Baseball (MLB) level. These injuries can be particularly debilitating to the throwing hand of pitchers. They can decrease performance through improper ball handling and command, and may result in an inability to throw a baseball without pain or discomfort. Due to blisters becoming such an issue in baseball, let’s step back and quickly look at the data. Let’s review how these injuries are occurring, as well as discuss ways in which medical professionals can not only treat these injuries but work to prevent them in the first place. Are Blisters in Baseball Pitchers an Epidemic? During the 2016 and 2017 season each, approximately 190 days were missed in the MLB by pitchers due to blisters. For comparison, between 2012-2015, less than 190 days combined were missed. So, what happened at the start of 2016? The Ringer indicated amongst their incidence data provided below, that “seam-height data” of the baseball testing they had provided from the MLB, that the seams on baseballs itself are lower now than they were before 2016. Can seam height truly dictate the incidence of blisters? Aside from the growing issue that blisters potentially pose to baseball pitchers, it’s critical for training room medical professionals to understand how to address these issues. Blisters can form on any finger of the throwing hand of a pitcher. However, typically speaking, most blisters form on the middle finger. This is most likely due to the middle finger being the last point of contact during a fastball pitch. In addition, these blisters can also occur more frequently on the thumb or index finger, as well. I’ve had pitchers tell me in the past that during a circle change-up pitch, they can even get contact between the nail of their index finger and the inside part of their thumb upon ball release. Overall, blisters form due to the friction that occurs between the ball (or seam of the ball) and the end of a finger. This repetitive load and friction that occurs with the hundreds and thousands of pitches thrown, can lead to a focal irritation and breakdown of skin. He also recommends that pitchers place their “throwing hand into a bag of rice in between innings to help reduce moisture on their fingers” as well. The goal of these preventative measures is to maintain integrity of the skin on the fingertip, and ultimately reduce the likelihood of “pruning” from developing from prolonged moisture that can take place from sweat. However, once a blister has formed, it’s imperative that treatment begins quickly to avoid any potential of prolonged missed time from competition. The blister, whether filled with clear serous fluid or blood, can often best be addressed by having a sterile drain be applied with a needle to the affected area. Most importantly, while the drainage should provide instantaneous relief, it’s critical that the blister be monitored to ensure that it does not open up, creating a secondary skin avulsion. In the cases in which a “chunk” of the skin has been removed through a skin avulsion, it can cause a significant amount of missed time. This is due to basically having an “open wound” on a finger that is constantly becoming further irritated by throwing. Outside of having a needle drain the blister, other more conservative measures include Dermabond, which is essentially like a “skin super glue” that can perform as another barrier of friction over the injured finger. It’s clear that the incidence of blisters among baseball pitchers at the Major League level is rising dramatically. The reason for this new epidemic is less clear. Is it due to the type of pitches thrown, the seams of the baseball, or other factors? We don’t have an answer. In the meantime, it’s important for training room professionals and coaches to try to prevent blisters from occurring at all. 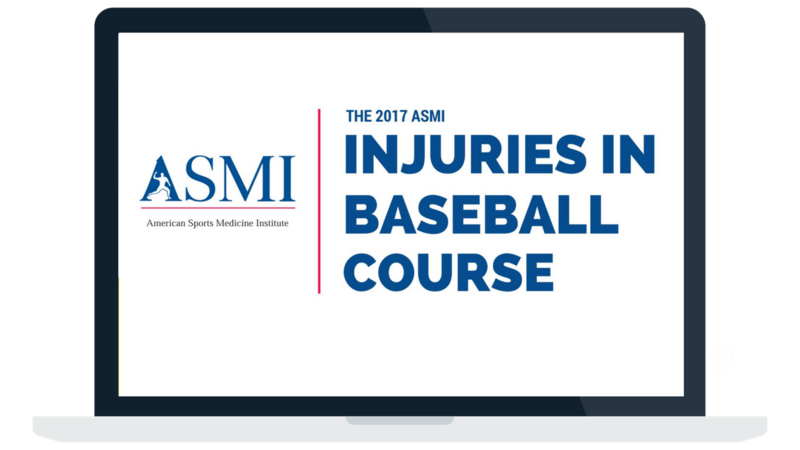 When they inevitably do occur over the course of a season, training room staff should be educated on how to address these injuries so that the pitcher can return to the field in a pain-free manner.